Looking for an interesting carpet to spice up your living room or dining room? This is the carpet for you! This fun style from Shaw’s Tuftex line, Taza, is one our favourites. Coming in 18 gorgeous colours, this flooring is sure to bring a classic and fun edge to your space. Shaw Floors also offers the ability to turn almost any style into a stunning area rug! The perfect furniture match for this carpet would be a crisp white, modern sofa with an industrial style coffee table. Mixing styles and textures is the best way to create an eclectic room. 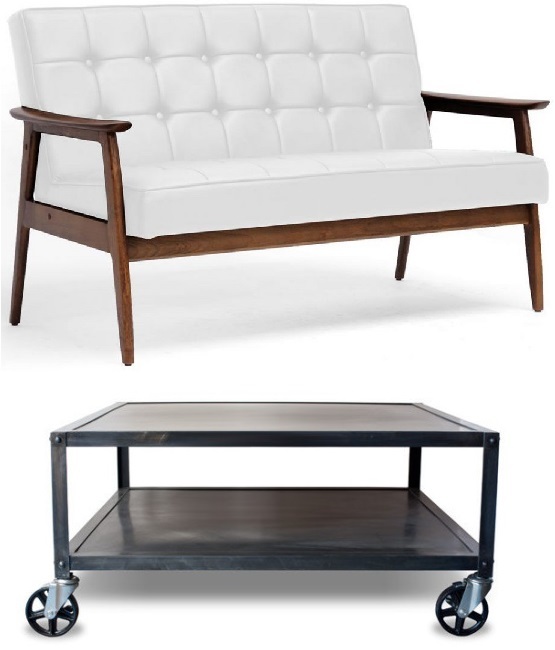 The combination of natural wood on your sofa and the metal in your coffee table, will do just that! Have some fun with throw pillows and add an interesting cow hide pattern. Mixing and matching patterns will create more interest to your space, as well!